Narrow diagonal bands filled with Z-shapes, and a very fine narrow border of triangles and small rosettes at one end. There is a flat seam with remains of a further fabric along one side; this is cut at an angle to the weave. 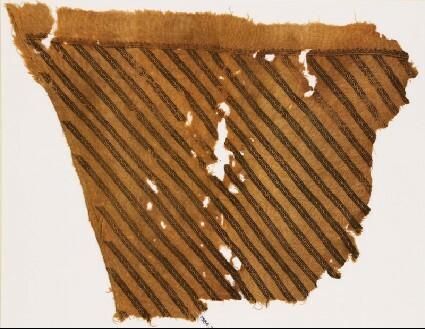 The fragment was part of a garment.